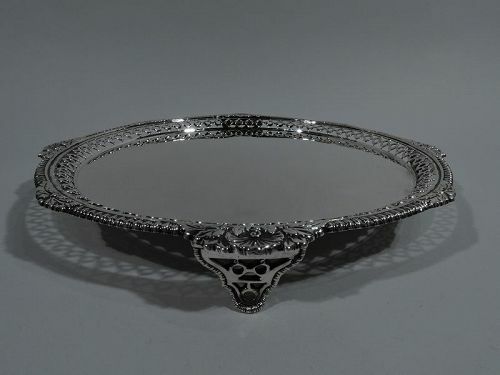 If you are searching for beautiful English Silver antiques, we can help. 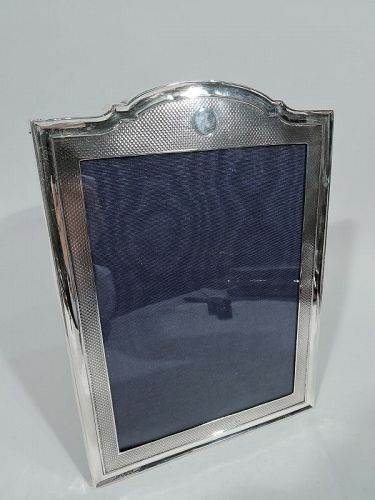 Nelson & Nelson has a great collection of antique vintage English silver items to choose from. 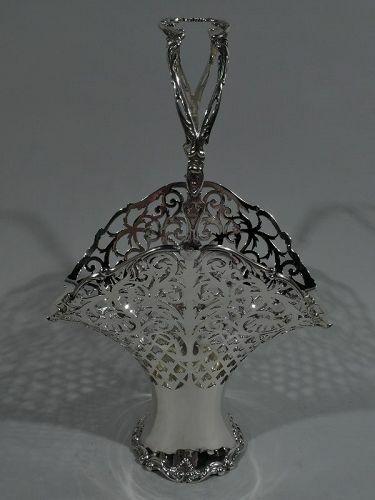 Elegantly pour tea out of one of our many silver tea kettles. Enjoy a romantic dinner illuminated with the help of a pair of sterling silver candlesticks. 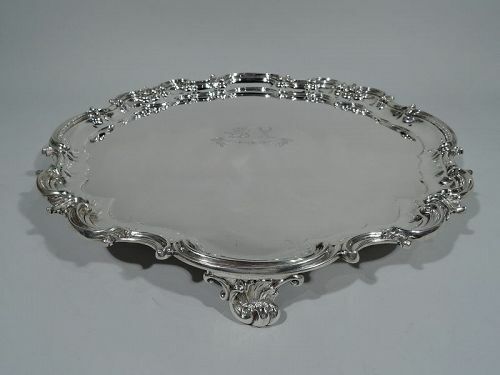 Serve hors d�oeuvres on English silver serving trays. 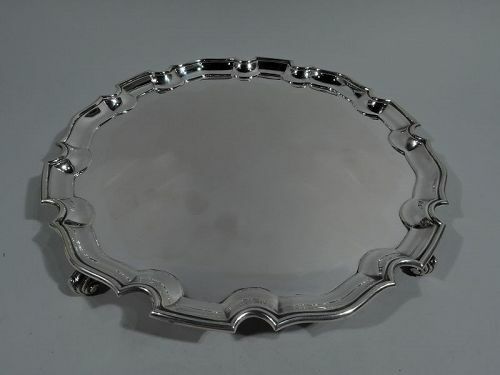 When it comes to finding quality antique vintage English Silver items, choose Nelson & Nelson Antiques. 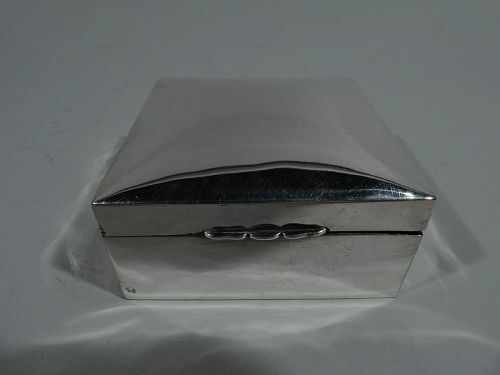 Nothing looks better than a sterling silver piece in your home. 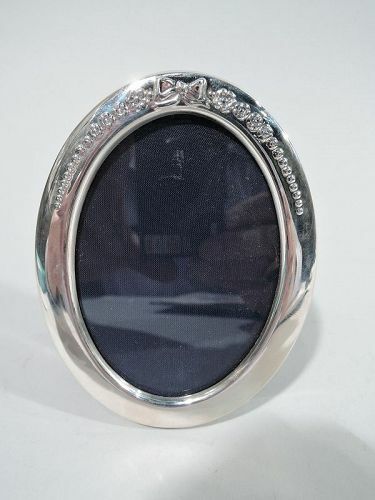 Give us a call to learn more about our gorgeous English Silver collectibles today. 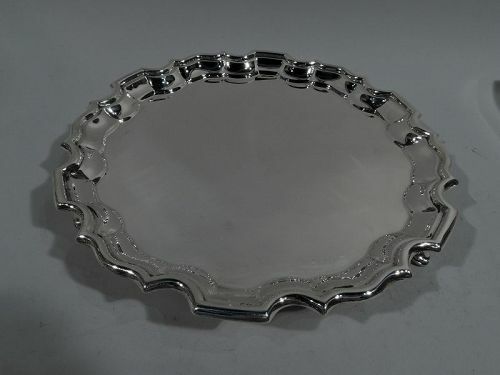 Edwardian sterling silver salver. 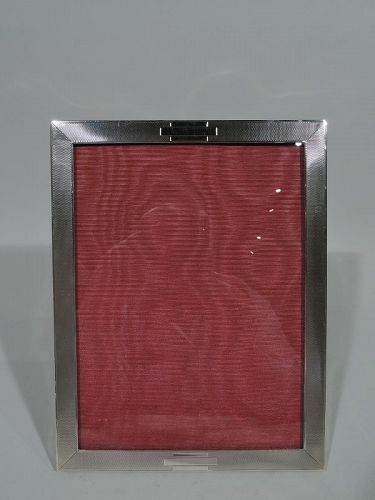 Made by George Jackson & David Fullerton in London in 1904. Round with molded curvilinear piecrust rim. Rests on 3 c-scroll supports. A nice piece in perennially popular Georgian. Fully marked. Very good condition. 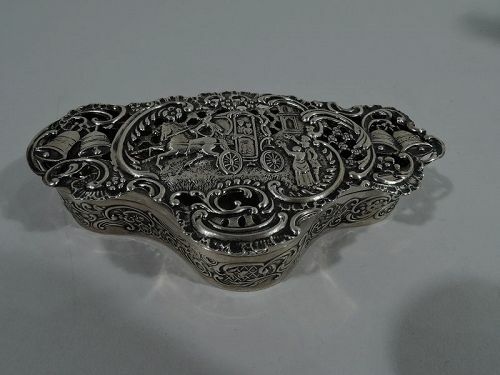 Edwardian sterling silver box with Georgian coaching days scene. Made by William Comyns in London in 1905. Shaped trefoil with chased and pierced ornament. Sides have scroll-and-flower band. Overhanging cover with royal coach waved on by loyal subjects with bells ringing. A sweet olden-days scene. Script monogram on cover front. Fully marked. Very good condition. 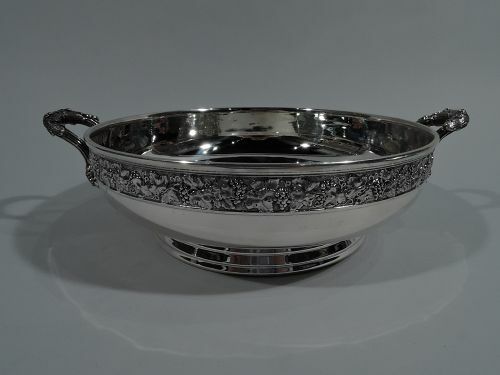 Striking sterling silver bowl. 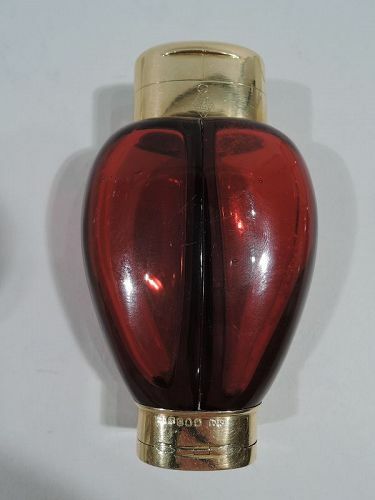 Made in 1970 and retailed by Harrods in London. Bellied with chased fruiting grapevine band at rim. Reeded and leaf-wrapped bracket handles with grape bunch mounts. Spread foot with stepped bands. A stylish combination of traditional and modern. Fully marked. Fine condition.